The archbishop of Cuttack-Bhubaneswar calls on the faithful to take part in the solemn Mass on 25 August. 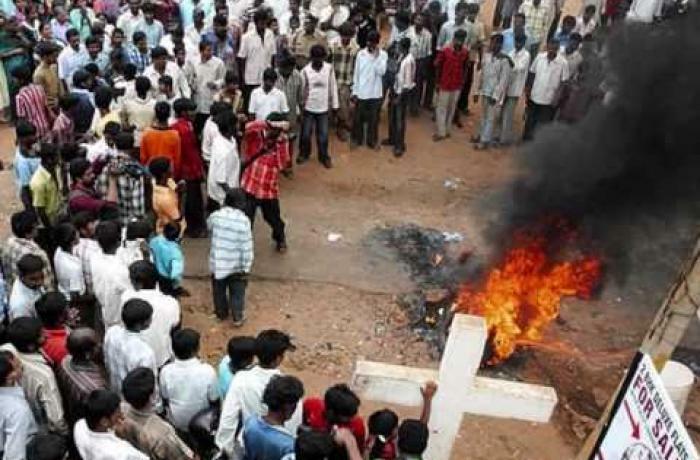 Christians "have no enmity towards anyone" but their fight for justice continues. The local Church is always "close to the victims". 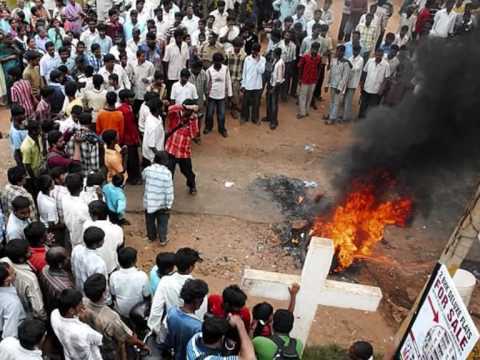 Cuttack-Bhubaneswar (AsiaNews) – For Mgr John Barwa, Archbishop of Cuttack-Bhubaneswar, the “Barbaric events” that took place in Kandhamal, Odisha (Orissa) in 2008 at the hands of Hindu radicals “should have never happened and should never ever happen again”. In August 2008, members of the Vishnu Hindu Parishad (VHP), a Hindu nationalist group, carried out the worst massacre in modern India. About 5,600 houses were destroyed, 415 villages were looted, 56,000 Christians were forced to flee, almost 300 churches as well as convents, schools, hostels and offices were destroyed. At least 91 people were killed. Ten years after the violence, the archbishop writes that Christians "have no enmity towards anyone"; on the contrary, they wish to "turn over a new leaf and want a renewed society ". This is why he is calling on everyone to take part in the solemn Mass on 25 August at St Joseph Convent School in Bhubaneswar. The service will be an opportunity to support "forgiveness, reconciliation and peace". Meanwhile, 3,000 survivors gathered yesterday in the Church of Our Lady of Charity in Raikia to pray for the victims of the Kerala flood. Mgr Barwa’s message follows. Ten years ago, what happened in Kandhamal, Odisha should have never happened and should never ever happen again. We recall with greatest pain and agony the barbaric events that occurred particularly in 2008. The inhuman attack on innocent people caught unaware in the middle of the night of August 25, 2008 will always remain a black spot in the history of the traditionally peace-loving people of Odisha and Independent India. What was heartbreaking that the massacre of the innocents continued unabated for months. The attackers snuffed out human lives, destroyed and demolished churches, homes, schools, hospitals, dispensaries, offices, and centers working for the uplift and development of the poor and marginalized people especially the tribals, Dalits, Other Backward Classes and others. Women and young girls were gang raped and thousands had to flee to the jungles in fear and despair. The people of Odisha however want to turn over a new leaf and want a renewed society filled with peace and social harmony. The Christian community believes in a God who is the God of forgiveness, reconciliation and peace. We remember even after ten years how much harm hatred and anger can do to our society. We wish to remember what happened so that it never happens again. We have no enmity towards anyone. We believe like the Apostle St. Paul that “trials of every sort come to us, but we are not discouraged, we are left without answer, but not abandoned, knocked down but not crushed”, (2Cor. 4:8-9). Over the past one decade, the Archdiocese of Cuttack-Bhubaneswar has remained close to the victims, and has been the prime driving force for the legal processes to seek justice for the victims and relief for those who have suffered. For the purpose we organized several rallies, submitted memorandums and are still fighting in the courts for justice. Today more than ever before we wish to surrender everything to our God in prayer and supplication believing as the Bible tells us that “for humans it may seem impossible, but for God all things are possible” (Mt 19:26). The Archdiocese of Cuttack-Bhubaneswar in collaboration with the Catholic Bishops’ Conference of India (CBCI) is organizing a Solemn Holy Mass for reconciliation that there might be genuine feeling of goodwill, Thanksgiving for those who witnessed the faith with their heroic life, and Grace that the Church may further be strengthened to live its faith, on August 25, 2018 at St Joseph Convent School ground, Bhubaneswar at 10.00 A.M. We want to pray for true forgiveness, reconciliation and peace. We take this opportunity to thank the Government of Odisha which has shown commitment to work for the growth and progress of everyone irrespective of caste, creed and color. We hope and pray that complete relief be granted to those who are still seeking it. The Archdiocese of Cuttack-Bhubaneswar and CBCI are organizing the Holy Mass for reconciliation, thanksgiving and grace with a humanitarian and clarion call to everyone of good will, especially those who believe in secularism, democracy, justice and peace and brotherhood. We implore God’s blessings on all men and women of good will.